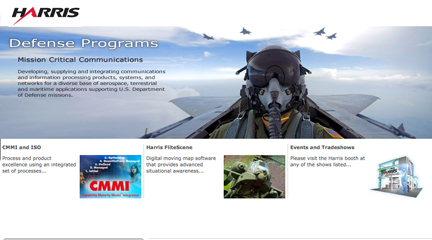 [SatNews] Harris Corporation (NYSE:HRS has been awarded the third option year of its Network and Space Operations and Maintenance (NSOM) program by the U.S. Air Force, valued at $64 million. Under this option, Harris will continue to provide operations and maintenance support to the 50th Space Wing's Air Force Satellite Control Network (AFSCN) at locations around the world. The initial contract for the NSOM program was awarded in January of 2008 and contained a six-month base contract and six one-year options for a total potential value of $416 million. This latest one-year option brings the overall value of the program to date to $218 million for Harris. The AFSCN, based on Schriever Air Force Base near Colorado Springs, is responsible for the launch, operation, control, and maintenance of space programs managed by the U.S. Department of Defense (DoD) and other national security space organizations. Specifically, the AFSCN oversees satellite control centers, worldwide tracking stations, and test facilities that maintain frequent communications with a variety of satellite constellations to ensure smooth operations while in orbit, as well as enable readiness simulation, launch, and early orbit support. The Harris-led NSOM team is comprised of Lockheed Martin Information Technology, Faith Enterprises Incorporated, ASRC Aerospace, Arctic Slope World Services, Avaya Government Solutions, and Günther Douglas.